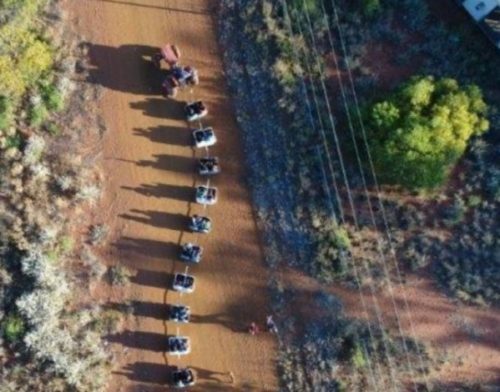 In the remote Pilbara region a train snakes its way through the red dirt and spinifex, but the cargo is not what you would expect. 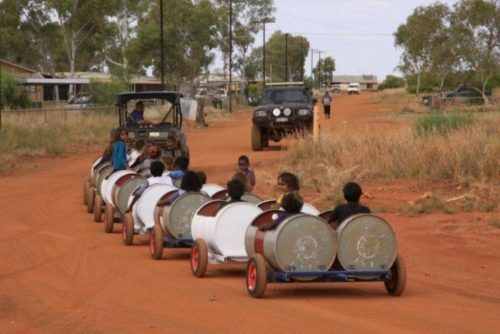 The Aboriginal community of Punmu, 700 kilometres east of Newman, has converted more than 20 metal drums into train carriages, providing a novelty way of encouraging kids to attend school. About 40 students go to the local school, which has classes from pre-kindergarten to Year 12. Punmu co-ordinator John Reudavey said the idea came to him while on holiday in Perth. “I saw four drums being towed behind a ride-on mower and the parents were paying $2 for the kids to putt around the footy oval, and I just thought ‘What an awesome idea’,” he said. Mr Reudavey said the whole community had jumped on board the idea. 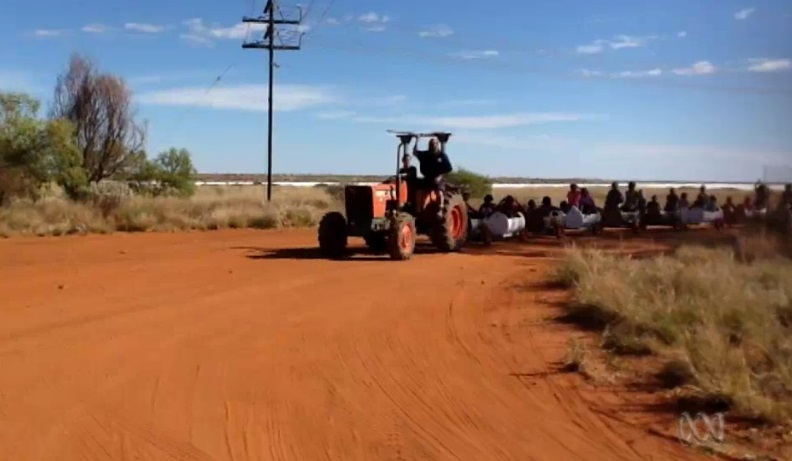 School principal Sarah Mortimer said the train greatly assisted some parents in the community. “It’s something positive, it’s something safe and it makes it much easier for families that have younger children at home,” she said. While the school attendance rate was already good, Ms Mortimer hoped the train would encourage the children to arrive on time. “One of the challenges is getting the kids to school early and getting them to stay all day,” she said.